Friday Sept. 23rd at 7pm, Subject to change/ time and Format plz keep posted. Alice Cooper will be having a concert that same night. Alice Cooper’s Solid Rock Teen Center and Mike Ditka’s Gridiron Assistance Fund to help to raise money and awareness for their respective charities, while bringing the competitive pinball experience to their Rock & Roll and NFL Fans! The 2016 IFPA/FWTG Hall of Fame Series runs throughout the 2016 calendar year, with the tournament qualifying series ending on December 31st 2016. At that point the standings will be set and top qualifiers notified to RSVP. If a player declines their spot, the next eligible player will be invited until all playoff spots are filled. The pinball format of the regional events will be determined by the tournament organizer. 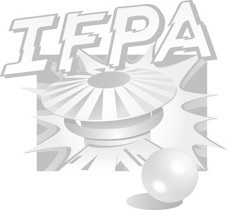 Please check the IFPA calendar for the details of the particular FWTG tournament you are interested in. All FWTG series events are eligible for IFPA/WPPR points in addition to FWTG circuit points. The 2016 IFPA Flippin’ With The Greats Hall of Fame Series was created to elevate the awareness and visibility of pinball by generating earned media coverage and corporate partnerships. Tournament organizers and participants will showcase pinball as a competitive sport, and as leisure time entertainment for skilled and novice players alike. Once again, players will be competing for WPPR Points, as well as thousands of dollars in cash and prizes, including a brand new pinball machine. The IFPA/FWTG Hall of Fame Series consists of two rounds: 1) Regional qualifying tournaments scheduled throughout the year across the country, and 2) a “Finals” round and Pinball Party hosted by Alice Cooper’stown in Phoenix, AZ. The finals round will be a two day match play (groups of 4) tournament.